Darling, South Africa - Our 2018 team painted all four walls in one of the classrooms for the farm school kids. 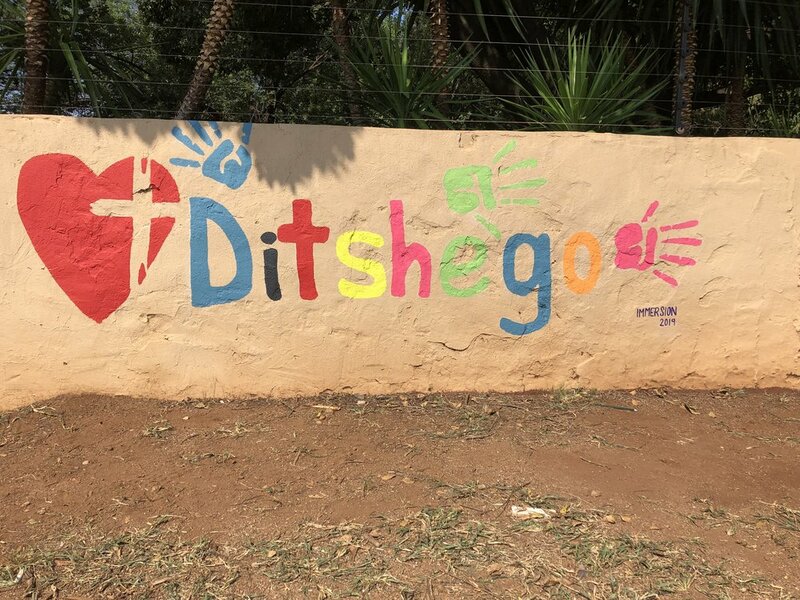 Mooiplaas, Gauteng, South Africa - Our teams in 2018 helped paint this wall at our community, Ditshego. Mooiplaas, Gauteng, South Africa - Our January 2019 team painted this wall for Ditshego, House of Laughter.